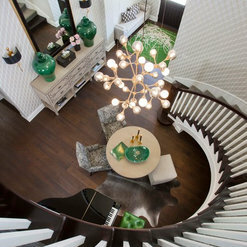 We have a beautiful home as a result of working with the Lori Gentile Interior Design Company. We loved working with her and her team. 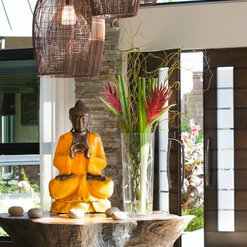 They were aggressive yet sensitive to our hesitations as this was the first time we have worked with a design company. We would highly recommend them. Lori is an incredibly gifted designer. She and her team are incredible artists and professionals. She has a network and resources that bring her gorgeous designs to life. We wanted elegant, modern, yet kid and dog-friendly. She delivered beyond our wildest dreams. Our home is gorgeous and will stand the test of time. Lori and her associates are a pleasure to work with. I am so grateful to have her as a designer and friend for life. Lori Gentile and her team were fantastic to work with. We were looking to do a major facelift/remodel of our clubhouse and bar. Being that we are a private club, our down time needed to be as minimal as possible since our membership would not have access to these areas. After meeting with Lori and her team to describe the vision we were looking for, Lori was able to put together a great looking plan for the areas being remodeled. From new carpet, practical furniture, lighting and a complete remodel of our bar area, she was able to enhance upon our first talked about vision more than I imagined. Another important element was to find a competent contractor that also knew how to work in our private club environment. Lori’s recommendation could not have been better. As I mentioned above, time was of the essence in getting this project completed as quickly and efficient as possible. Our total amount of downtime for our clubhouse was only two weeks. I had quite a few of our members that were in the building business and they would come up to me saying, “this is supposed to be done next Friday, no way.” Well, on that Friday, two weeks later we were open for business hosting a tennis exhibition and the clubhouse and bar were fully operational. I would also add that during the whole process from beginning to end, Lori and her team were very professional & constantly communicating with me. I really feel our project could not have gone better no matter what. It was a pleasure working with them and hope to work together on future projects for our club. Lori is talented, passionate, and an artist who has made my home a place that I love. I am giddy with happiness and have been since we moved into our home and it is due to Lori and her team. 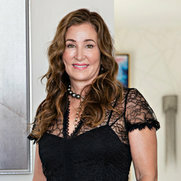 Lori is a designer with depth and a true artist who collaborates and dreams up a unique style with her clients. She's one of a kind. Look through her portfolio, different than other designers who you can start seeing a trend or theme, you will not see this with Lori. Her style is one of a kind without boundaries. 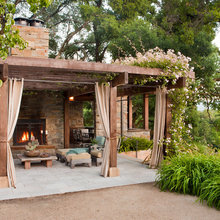 The other thing I love about her is although every room she designs is worthy of HOUZZ posting she respects and values her clients and doesn't post all of her exceptional work. Her values are aboveboard and it has been a gift of a lifetime to work with Lori. Lori Gentile is by far the best designer I have ever used! Her creativity and eye for detail constantly amaze me. Most importantly, she is very respectful of my style and designs to my likes and needs. She is professional and knowledgeable. We were introduced to Lori when we had just moved into our home which is over 7,000 square feet and had no furnishings. After spending limited time together, she quickly gained an appreciation for our preferred style. Lori and her team created a presentation that was next to perfect. Her eye for style, color, and detail is impeccable. 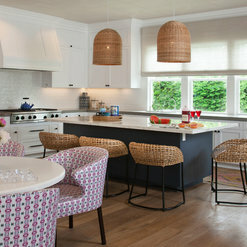 Not only did she help us to design the entire interior she also assisted with landscape design and outdoor furnishings. I recall the first night after our furniture install I informed Lori that I felt like a princess sleeping in my new bedroom. This was a huge project and she made every bit of it impactful and coordinate. 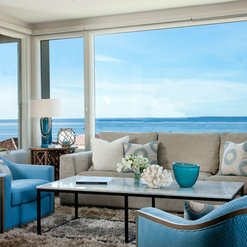 I would highly recommend you consider Lori Gentile Interior Design for your project. Lori Gentile has excellent taste. She has a sense of style and really knows how to put color, fabric and design together. Whether it be for a bedroom or kitchen, she knows what is current and trending, yet won't be out of style in 6 months. For my next interior design project, I would choose Lori in a second. Mick it was a fantastic collaboration!! I'm so thrilled it's working out and drawing in more business for you!! 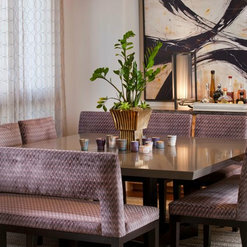 I knew I wanted Lori Gentile Interior Design to help me make my house a home from the moment I saw her website. 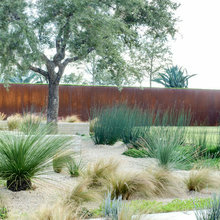 What struck me was I liked every one of the design projects displayed on her website. Not that all of them would fit me, or my house, but I could see she was a master at creating unique and beautiful spaces. 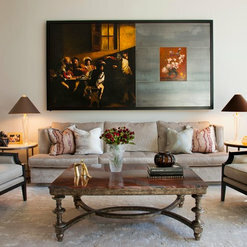 Prior to our first meeting I collected pictures of items and rooms I liked from magazines and the Houzz website. Honestly, I couldn’t see any consistent style or theme in the things I was drawn to. I need not have worried! Lori Gentile looked at my pictures, my home and asked me questions – I felt Lori understood what I needed to fall in love with my home. She left with all my information to put together a design presentation. Lori came back with Kate, her design assistant, and presented her ideas for my home. I was floored by her stunning design. I understood then why you hire a professional, and specifically Lori Gentile Interior Design, she somehow took my fragmented ideas and put together a design that actually reflected me – only better! In spite of many hours of watching HGTV nothing prepares you for actually having people working in your house. That said, everyone that works for, and with, Lori is an absolute pleasure to be around. Everyone that came into my house was respectful, polite, professional and a perfectionist when it came to their work. Her design staff, Kate, Romina and Kelly were there whenever I had questions and they kept me updated every step of the way. They are a valuable part of her design process. It is hard to put into words the beauty that is the finished product. I never dreamed my home could look like it does now. It has been two months and I still can’t believe I actually live here. My husband graciously let me choose a lot of what went into the house, however he did approve the design before we started. He loves it too and we are both enjoying the house more than we could have imagined. I wholeheartedly recommend Lori Gentile, she has flair and style and your house will too after she is done. 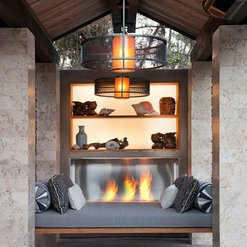 I have worked with many interior designers over the coarse of my 32 year career, and with Lori on many wonderful projects over the last decade. She is, hands down, the tops I've ever worked with. She is passionate about her work, as so is a joy to work with. Her ability to sense client needs and provide "The Look" they love is unsurpassed in my experience. I love working with her and I am looking forward to next decade of wonderful project collaborations. Lori Gentile is on top of her game. 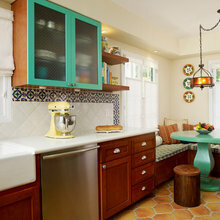 Lori provided the interior design for a remodel on our house after 18 years. To say she did a magnificent job would be an understatement. Rooms that we never used before are now our "go-to" hangout rooms in the house. In fact, we have so many cool new hang-out areas in our house its tough for us to decide which room to go to! Contemporary, but warm. Urban, but comfortable. It all works! Thanks Lori! Lori has excellent taste and her staff, especially Kelly, are easy to work with and very thorough. I would highly reccomend them for all your design needs. Commented: BedIt's a custom piece. Commented: Mel EdwardsThese are antiques I found in LA on a buying trip years ago.